Boston Scientific Corporation announced it has signed an agreement to acquire Claret Medical, Inc., a privately-held company that has developed and commercialized the Sentinel® Cerebral Embolic Protection System. The device is used to protect the brain during certain interventional procedures, predominately in patients undergoing transcatheter aortic valve replacement (TAVR). The transaction price consists of $220 million in up-front cash, as well as a potential reimbursement-based milestone payment of up to $50 million. The Sentinel System – which received CE Mark in 2014 and FDA clearance in 2017 – is the only device cleared to protect patients against the risk of stroke during TAVR, a minimally–invasive procedure to replace the aortic valve in patients with severe aortic stenosis. Embolic debris such as calcium or tissue can break loose during the procedure, travel through the bloodstream towards the brain and potentially cause neurological and neurocognitive damage. Recent studies have estimated approximately four percent of patients experience a clinically-apparent stroke within 30 days of a TAVR procedure. 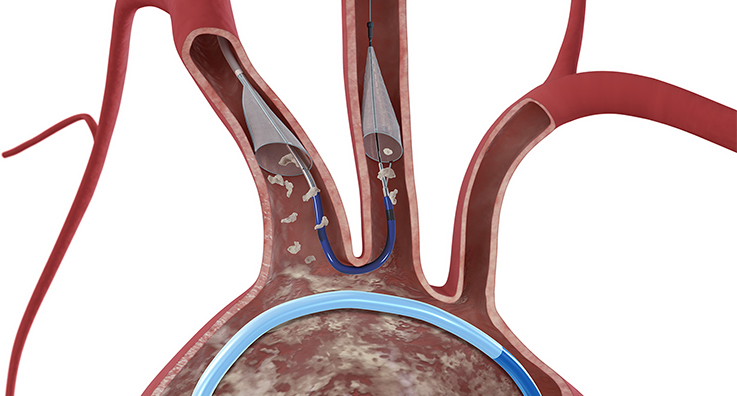 In the pivotal SENTINEL trial, the landmark study that led to FDA clearance and commercial introduction of this first-time therapy in the U.S., the Sentinel System reduced the incidence of strokes by 63 percent within the first 72 hours of the procedure. In clinical studies, the Sentinel System captured debris flowing towards the brain in 99 percent of TAVR cases, regardless of the type of replacement valve that was used. Claret Medical is based in Santa Rosa, CA, and has approximately 120 employees. The acquisition is projected to close during the third quarter of 2018, subject to customary closing conditions. The transaction is expected to be immaterial to adjusted earnings per share in 2018, accretive in 2019 and increasingly accretive thereafter. On a GAAP basis, the transaction is expected to be less accretive, or more dilutive as the case may be, due to amortization expense and acquisition-related net charges. More on the cardiac surgery and heart valve devices market in the US can be found in a series of reports published by iData entitled the US Market Report Suite for Cardiac Surgery and Heart Valve Devices. This report covers the following market segments: tissue heart valves, mechanical heart valves, annuloplasty repair devices, transcatheter mitral valve repair (TMVR) devices, transcatheter heart valve replacement (THVR) devices, on-pump coronary artery bypass (ONCAB) devices, off-pump coronary artery bypass (OPCAB) devices, endoscopic vessel harvesting (EVH) devices, anastomosis assist devices (AADs), transmyocardial revascularization (TMR) devices, ventricular assist devices (VADs), intra-aortic balloon pumps, temporary artificial heart replacement devices, extracorporeal membrane oxygenation (ECMO), remote hemodynamic monitoring, patent foramen ovale (PFO), atrial septal defect (ASD) devices, ventricular septal defect (VSD) devices and left atrial appendage (LAA) devices. Reports provide a comprehensive analysis including units sold, procedure numbers, market value, forecasts, as well as detailed competitive market shares and analysis of major players’ success strategies in each market and segment. To find out more about cardiac surgery market data or procedure data, register online or email us at [email protected] for a US Market Report Suite for Cardiac Surgery and Heart Valve Devices brochure and synopsis.